Click here for your online copy of the catalogue featuring BREPOLiS databases. If you prefer a paper version, please send an email to brepolis@brepols.net. 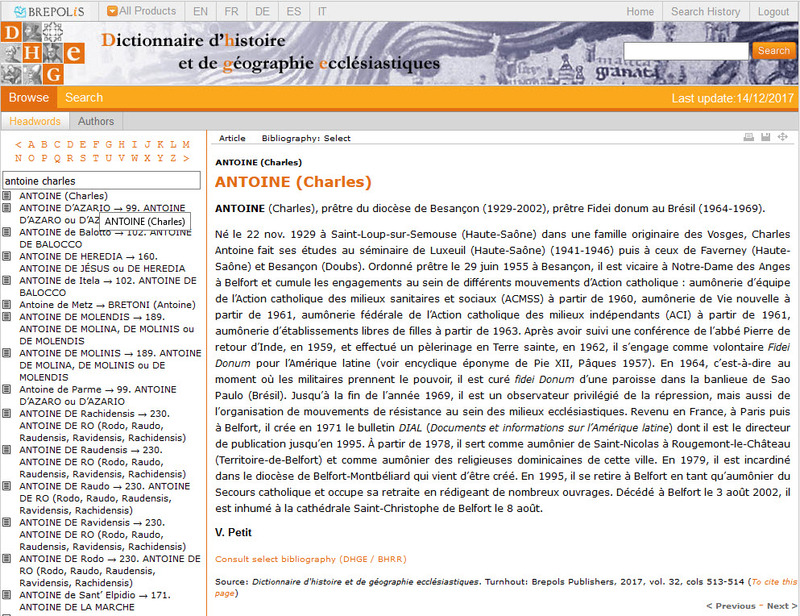 We are glad to announce that the Dictionnaire d’histoire et de géographie ecclésiastiques has been updated. The articles from fascicle 188-189a (ANTOINE (Charles)-ZOUAVES PONTIFICAUX) are available. For more information about the Dictionnaire d’histoire et de géographie ecclésiastiques, click here.